But it’s an orchestrated hold, a fermata, an intentional holding back purely for the drama. The G70 sedan will probably be sold through Hyundai dealerships despite the drama over Genesis USA wanting 85-90 standalone stores exclusively selling and servicing their cars and interacting with their guests. Speculation of Genesis product launches for the US. Genesis Canada is doing it right. Genesis Australia will do the same thing Genesis USA is doing. For those of you not keeping up with this soap opera, Genesis USA has decided that it only wants 85-90 dealerships selling and servicing their vehicles. Currently, there are around 350 Hyundai dealerships that can sell the $41k-$60k G80 sedan but are suddenly not permitted to sell a cheaper, entry level sedan. If you thought Cadillac’s “Project Pinnacle” had problems then you should look into this mess. What is going to happen, Im calling it now, is that Genesis USA will make a compromise — one they were planning to make ever since they started the drama — that allows Hyundai dealers to sell the G70 sedan but cut them off from every product change after the G90 refresh which will likely be unveiled this December of 2018. *This will be the point where Genesis USA cuts their remaining Hyundai-branded ties and makes the cars exclusive to their own sales system. In Canada, Hyundai dealers weren’t given the option of selling the rebranded sedans. There is a goal of 30 standalone dealerships eventually operating throughout Canada, but for now the cars are direct order (Genesis Motors Canada owns the inventory). There are some small boutique style locations in major shopping areas but the focus is the experience. Last I checked, your $450,000 Fezza, Macca, Lambo, Royce, or Ford GT won’t get branded glassbox, fancy fishbowl, autoterrarium delivery to your home. But a $55,000 Korean sedan is now bound to draw a crowd. Obviously, Canada gets the “luxury” branding and how to make the best of low initial volumes. Australia, you guys will probably mirror the US rather than Canada. 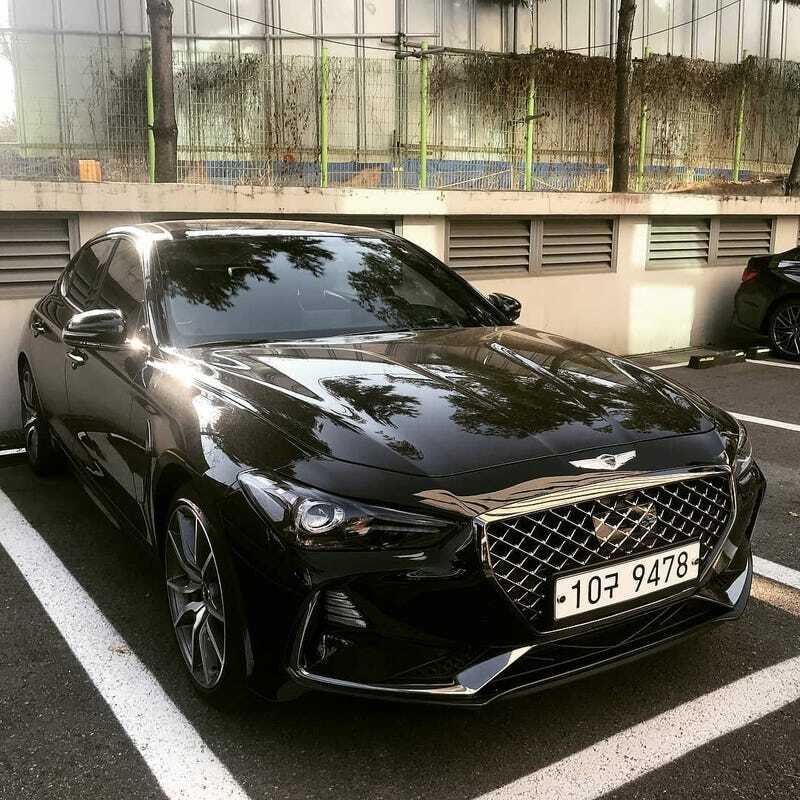 Hyundai dealerships will sell and service the G80 and G70 but once the next generation G80 arrives, everything introduced after that is a Genesis exclusive model. ...then you can’t buy it, get your warranty work done, or expect concierge services from any Hyundai dealerships. In the end, all these cars that are great new values and spec-freaking-tacular used car values will give you zero, absolutely zero, sub-zero (that’s colder than absolutely zero but warmer than absolute zero) luxury perks. That’s because, no matter what anyone tells you, these particular cars were, are, and will forever be just Hyundais. I dont know these people! That aside, British and Korean cars go extremely well together. Perfect compliments and counterpoints to one another.